KUALA LUMPUR: University Kuala Lumpur (UniKL) players and officials received a windfall today when the club decided to give them RM100,000 on top of the RM80,000 prize money they won in the TNB Cup. 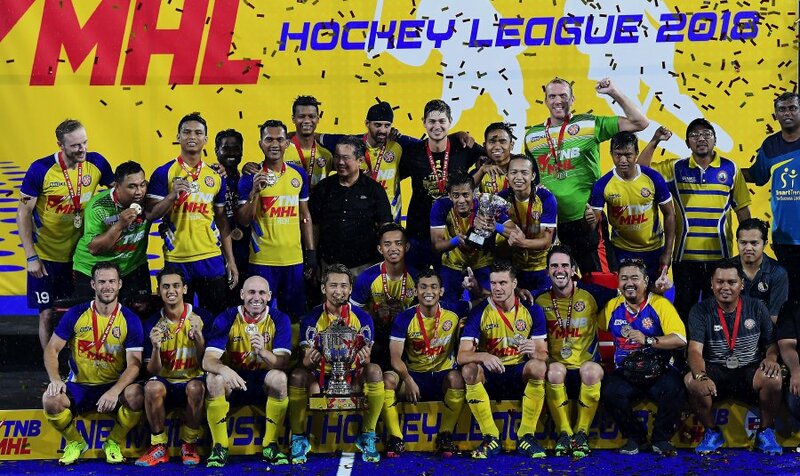 UniKL became Malaysia Hockey League (MHL) champions for the first time since making their debut in 2011. They beat Kuala Lumpur Hockey Club 4-3 in a shoot-out after holding them to a 1-1 draw in the TNB Cup final. It all started in 2009 when former Malaysian Hockey Confederation (MHC) president Tengku Abdullah Sultan Ahmad Shah had a vision to form a hockey club as well as for clubs to have their own artificial pitches. So he requested UniKL to start a hockey team of their own. And being the UniKL Chancellor, Tengku Abdullah’s vision was duly picked up by their officials and a hockey team were formed, and they finally won their maiden Malaysia Hockey League (MHL) TNB Cup title this season. The Tengku Abdullah Stadium will also be operational by April, where more concerted development programmes will be planned and executed soon. Their Junior Hockey League (JHL) team won the League in 2011, and the Overall titles in 2010. The UniKL senior players were duly rewarded today. “On top of the prize money, I will add an additional incentive to the amount of RM100,000 to the team, also to be equally distributed among them. “I congratulate the management and team for defying the odds to become a champion despite the underdog tag. “UniKL should continue to develop young talent including those developed by Pahang Hockey Academy in Seberang Temerloh,” said Tengku Abdullah. UniKL are also looking at the possibility of hosting an international hockey invitational tournament that will be held annually.